As the parent company to FargoTrophy.com, Office Sign Company, LLC has excelled for years in the realms of e-commerce business and custom prints and engravings. 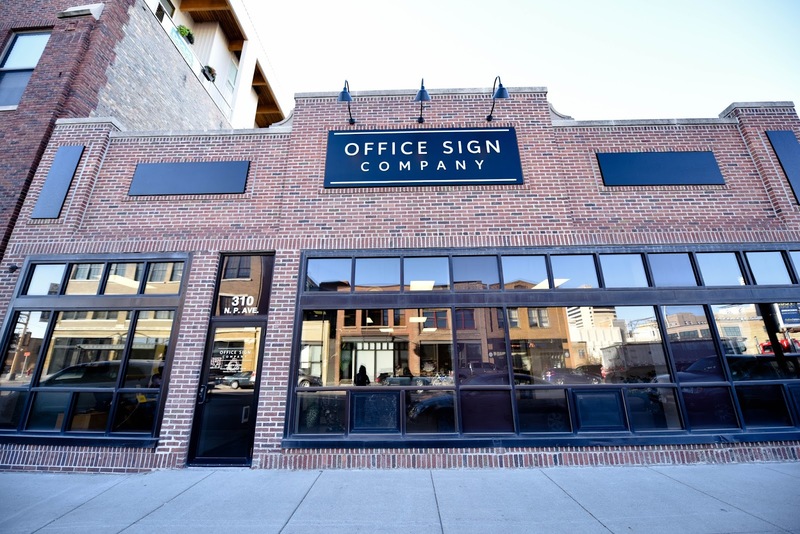 Started in 2008 in Fargo, North Dakota, Office Sign Company now encompasses 40 employees, 2 locations, and thousands of custom sign products and sign-making capabilities. Though its stronghold has been in the interior office sign niche, a lot of its product development and entry into new markets has been driven by customer requests. One fateful afternoon, a customer walked into Office Sign Company’s downtown office looking for a "custom plaque sign" to be made. A light bulb went off, and the idea of Fargo Trophy was conceived. Fargo Trophy served as a wonderful opportunity for Office Sign Company to utilize the same high-end equipment it used for making office signs to also create and engrave in a variety of plaques, trophies, and awards. It also allowed OSC an opportunity to connect with local organizations by offering officially licensed school merchandise, to be able to kick back funds to local high schools and universities. Though the company’s main line of business still resides in making custom signage for clients all across the country, their desire to provide unique commemorative gift items and awards for the Greater Fargo Moorhead Area has led to Office Sign Company, LLC creating a variety of custom trophies and gift items for businesses and individuals via FargoTrophy.com.